They usually carry hand-carved crystal flowers. At first, the frame was carved wood, but the characters are in glass molding today. They are made entirely by hand and therefore each model is unique. They are tremendously versatile; we just have to dare to hang it on our walls. Venetian mirrors, a type of mirrors very special and easily recognizable. But how are they different from the rest? What makes them so special and unique? Undoubtedly it is its frame realized in glass, instead of wood or metal. At LA MAISON CHIC, we will guide you about everything! The aged Mirror Furniture, are Mirror-lined wood furniture, used to be very difficult to find, but now we have them here on our website so they can enjoy their beauty. They are very striking pieces that will enhance their decoration and give a feeling of spaciousness to any room where they are placed. All of them form a beautiful composition of central moon surrounded by a glass frame, formed by pieces with drawings and floral motifs engraved with a stone lathe. These are mounted, imitating the forms of a classic frame, which show borders, wreaths, leaves or ribbons, beautiful front with scrolls and carved moldings. Each of the pieces that form the frame is hand carved by glass experts. The original Venetian mirrors continue to be made in the glass workshops of LA, but we can find some older ones, in antiquarians worth approximately £ 2500 - £ 3000. Its cost will vary depending on its work-ability, the number of drawings, and their complexity and the amount of decoration applied. Those of new manufacture come with the certificate of authenticity and are valued at about £ 1000. Usually, as with other design pieces (chairs or tables, for example), many manufacturers create mirrors inspired by the originals, faithful reproductions of high quality, which go on sale for a more affordable price, within reach Of all the pockets, with prices that oscillate between the £ 150 - 1000. In this price line, you will find your mirror in the ' Venetian Mirrors ' section of our furniture and decoration shop. Here you will find a wide selection of models, in different sizes and formats. Currently, there are several different models. We are specialists in Custom Mirror Furniture. We manufacture your Aged Furniture and Accessories in any measure. This mirror is outclass and is beautifully designed in a most astounding manner. The corners of this mirror are molded inside giving it more durability. This one will suit best for anyone’s need. 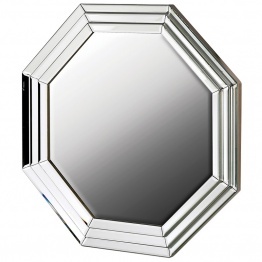 This round mirror has three to five layered curved edges that are separately fixed on to other to give it more beauty. You can hang this or simply put on table. This mirror stands out the most. It is prolonged and simple, with sprinkled elegance on it. This can however be customized in any size and shape!, just according to your needs. The forth category of antiqued mirrors reflects its name. 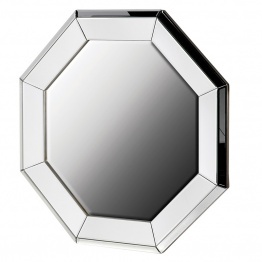 The extra large mirror is best suitable for lounges, consoles and even for bedrooms. This antiqued mirror has flowers carved by it sides. Despite of its round shape, each detail is visible clearly. The floral touch enhances the beauty to maximum. This mirror is simple yet trendy. Plus, it is antiqued too. To give it more antiqued look, it is painted with silver-ish grey color! It has a sturdy design and is rectangle in shape. It is ideal for keeping over floors or mounting. Its cushioning attributes make it more appealing yet worthy. Regardless of the extra large size of this antiqued mirror the mirror looks classy and astounding. The over lapping on the other hand makes it appear striking enough! This one is a traditional style antiqued mirror, with the blocks of heart attached. It is beautifully designed and incorporated together. This antiqued style mirror is superior to any other. It is huge and on the top of it is evenly layered, keeping the exterior to utmost finishing! This one purely reflects the old times. Having this mirror will you take you in pure ancient times; the floral base accompanied with a queen touch surpasses the elegance. This skinny and tall mirror is best suitable which have small rooms. However, it can also be used in lounges and condos. This look outstanding when placed as this is in trend and looks alluring. It is attached with a stand and has an interchanging mirror, which can flip easily. The shape of this antiqued mirror is oval and looks relay amazing when it is placed on dressing tables or in rooms. Again a tremendous mirror it is. This one is in fashion and occupies some more space because of its octagonal shape. It is gigantic and well-built in style. However, despite its full-size design some people like it to most and is the most admirable type of mirror.